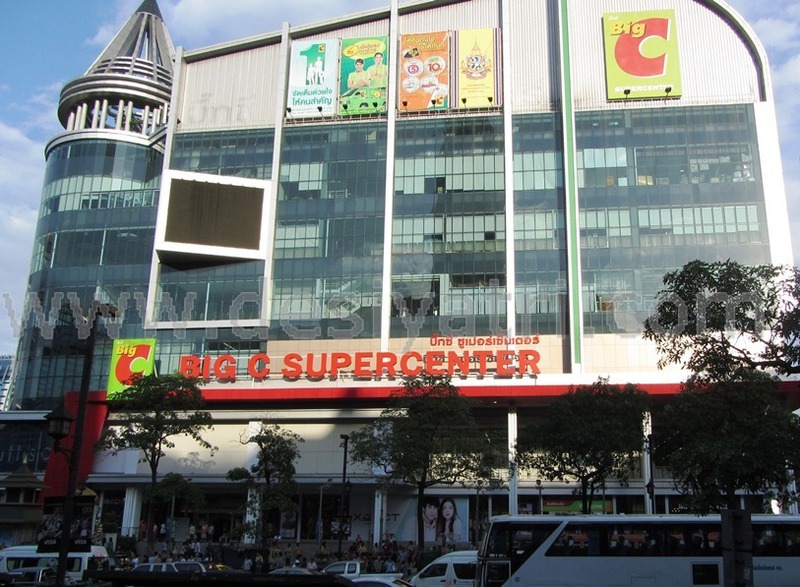 Big C is one of the biggest supermarket chains in Thailand and at their Ratchadamri store in Bangkok, you will surely find all the products you would expect. Aside from their really friendly prices, most come here to shop mainly because you can also procure your goods in bulk as they provide boxes for you to neatly pack and ship them back home! So without further ado, here’s our 8 Must Buys in Big C Bangkok. Dosed with a strong taste of pepper, the fried shrimp chips is an addictive combination which I’m sure you won’t stop at just a handful of them. These fried shrimp chips are so crispy and tasty and they are packed in white tins so you can be sure it won’t pop when you pack a few of them home in your luggage. They also come in small packets making it a perfect snack to enjoy. Ultimate favourite flavour – Singapore Curry Crab, just wow! Who can resist Lays? There are so many unique flavours of the Lays Potato Chips here in Thailand, and you’ll instantly recognise them apart from other brand of chips with their ‘Smiling faces’ branded on the packages. Favourites: Hot Chili Squid and Spicy Lobster. Though slightly pricey for its small portion, they sure are addictive! Make sure you look out for the Fruit King Brand as the Durian and Jackfruit taste are much stronger as compared to other brands. Koh Kae is a popular peanut snack in Thailand, which are peanuts covered in a crunchy shell. Simple yet extremely delicious with several flavours to choose from – Coconut, Tom Yum, BBQ, Wasabi and many more. The Original Coconut flavour is my family’s favourite. Over at this aisle you can expect many tourists alike crowding at the row of Instant Noodles, and you can expect some of the shelves already half emptied in the evenings. The Tom Yam Goong wins our hearts with the flavourful and creamy broth. We enjoyed the Rice Noodles as well, as the thin noodles comes with a light chewiness and is intensified by the Tom Yam broth which has a spicy, lemongrass flavour. If you are missing authentic Thai Tea from Thailand, fret not you can still enjoy them in the comforts of your own home. Lookout for the Zolito brand, as from what we’ve been informed by the locals here, this is the typical brand they use which is less milky, less sweet and is a nice substitute to the ones you would probably had tried in Thailand. Thinking of recreating that delicious, creamy broth we all love and crave in Thai cuisines? Make Thai dishes easily and quickly with a range of their convenient cooking sauce / paste packets. They have quite a variety to choose from so go wild!